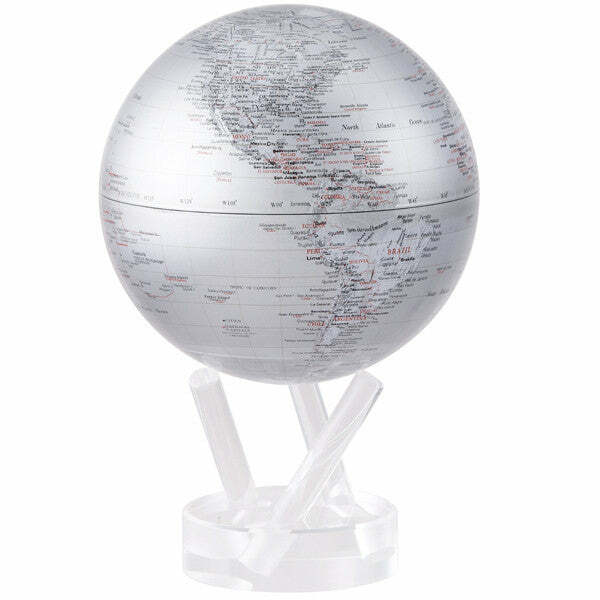 The Silver Earth MOVA Globe globe is an understated and luxurious take on traditional globe design. The combination of metallic silver land masses against satin silver oceans and the black and red lettering accent makes a quiet yet lustrous composition perfect for those with a taste for simplicity. The globe comes packaged with our 3-pronged acrylic base and is available in a 4.5″ and 6″ size.